In Washougal at 32nd and Main. 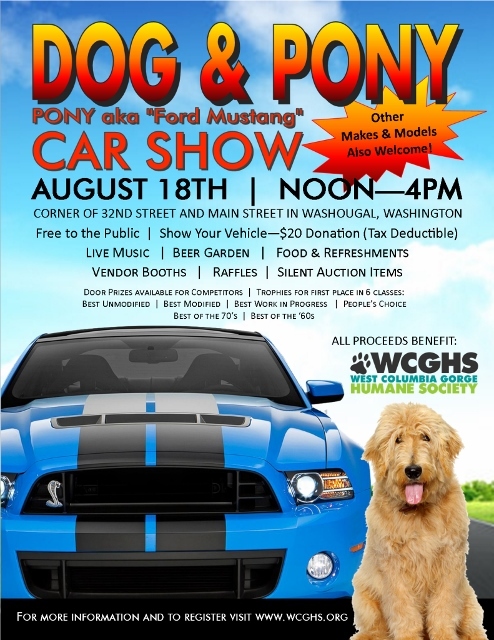 Free public car show to benefit West Columbia Gorge Humane. Live music, food, beer garden, vendors and raffles. Bring the kids, your camera, and well-behaved dogs. $20 to show your vehicle. Details WCGHumaneSociety.org.